I tie up my laces, put on Songza, stick the earbuds in my ears and I’m out the door. As soon as my soles hit the pavement, my feet feel like they are moving faster than the rest of my body. With each and every stride, my body begins to catch up with my soles. Before I know it, my running app tells me that I’ve hit a mile. My soles can go further than a mile. It’s my mindset that will determine whether or not I go that extra mile, or two. With each stride, I glance ahead of me. In the moment I am present, yet when I look ahead at the distance I can go, it’s like I’m running into the future, and the possibilities ahead are endless. Sweat drops drip down my forehead. My heart feels like it could skip a beat and my pace is considered happy. My happy pace is the pace that I go, which varies from day-to-day and is determined by me. It’s a pace that releases endorphins and gives me clarity. Each time my soles hit the pavement, it’s a race against nobody else but myself. A race towards health, wellness, achieving my goals, feeling the solitude all at my own “happy” pace. I was taught how to use my happy pace from one very inspiring young woman named Ashley Wiles Founder of Sole Girls . Sole girls workshops empower tween girls while providing them with tools to gain confidence, and have a healthy body image. They work on their fitness, talk about nutrition, goal set and find their inner awesome. The sole girl’s programs also prepare the girls for a 5km run at the end of the session, followed by a wrap-up party. Ashley taught my daughter and I through her running empowerment program that running isn’t about how fast you are going. It’s about finding a pace that you feel comfortable, a pace that works for you and makes you happy! I had the pleasure of attending a sole girls session with my daughter as well as attending a few runs. Running in the 5km race with my daughters and the Sole Girls was an experience I will never forget. The accomplishment we all felt after we crossed the finish line in the rain, felt amazing. 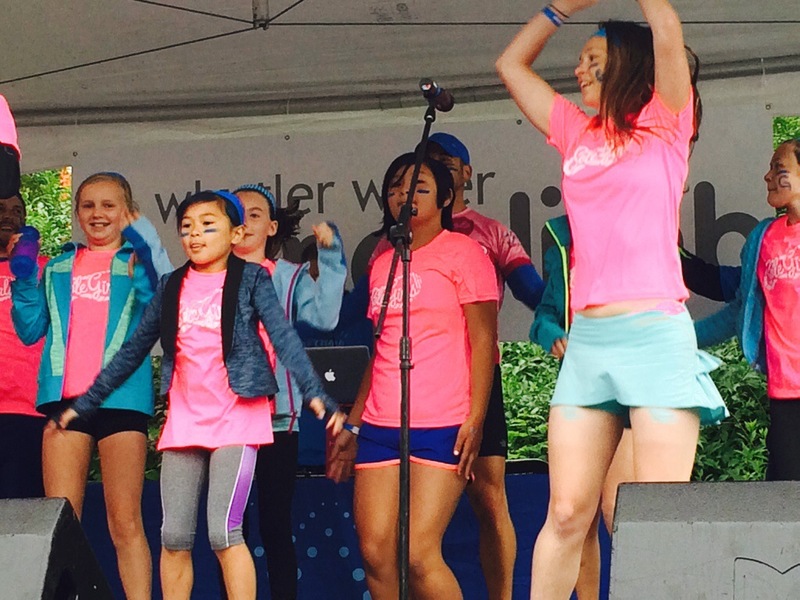 My girls also had the opportunity this past weekend to lead the warm-up for the Grouse Grind One Climb fundraiser with Sole Girls. My husband and I did the grind with everyone too. We were so proud of our daughters during the incredibly tough climb and especially proud and happy to see their faces once they accomplished. When they got to the top they couldn’t believe that they just finished climbing Grouse mountain! I honestly don’t know if we would have tried the grind, especially so early on a Saturday morning, if it wasn’t for Sole girls! The thing is, this is what being a part of the Sole Girls does to you. It encourages you to get up, show up, and never give up! Being a part of Sole Girls is very inclusive. They don’t keep track of how long it takes you to accomplish anything. They are non-competitive, enthusiastic and encouraging. Sole Girls isn`t just a group of tween girls. It is also a community of parents, daughters, sisters, brothers, mentors, volunteers and leaders. 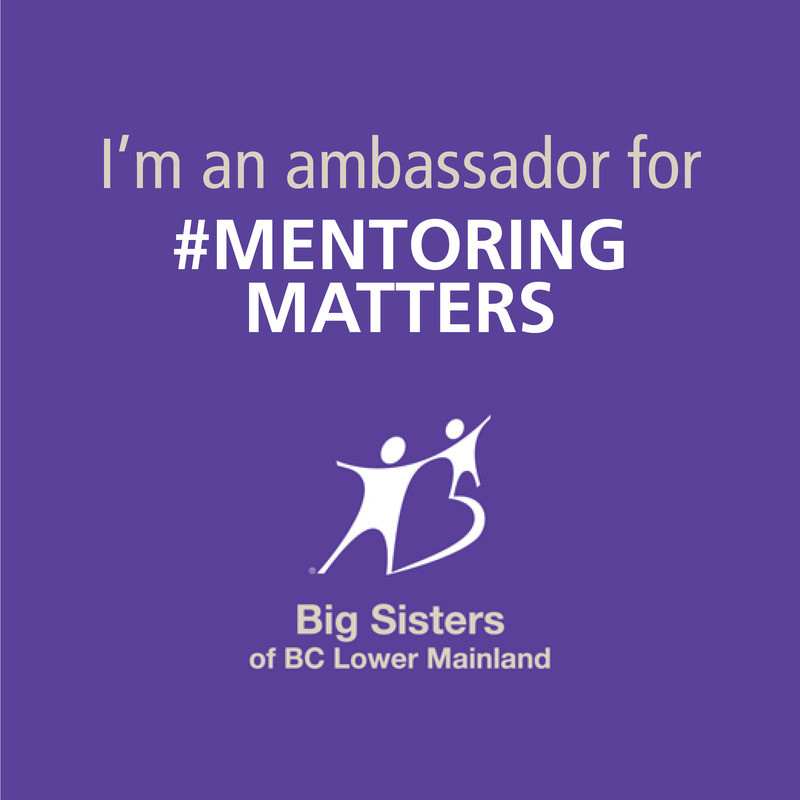 Every girl should have mentors and as much as moms guide and mentor their daughters, sometimes girls feel like they can relate to someone who isn’t their mom, and feel more like a big sister. The Sole-teers are volunteers who dedicate their time to mentor the Sole Girls.They are sole-kind to use their lives to touch the lives of preteen girls who are navigating an awkward stage in life. 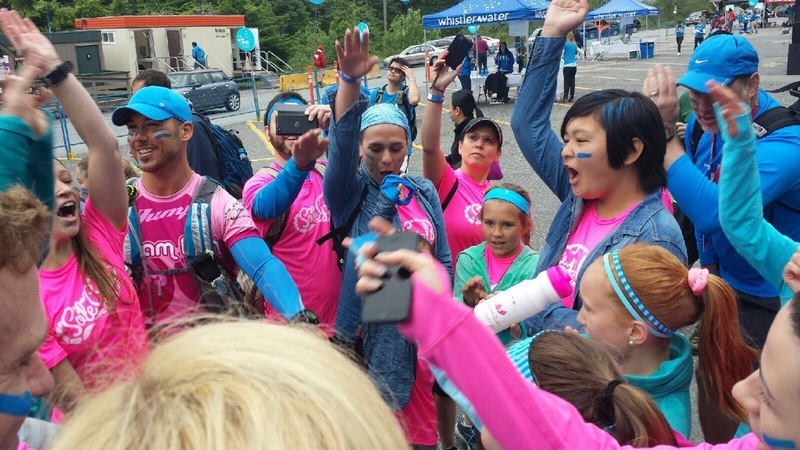 Every time I see Ashley in action with her sole-teers and sole girls I see a true leader who chooses to use her life to make a difference in the lives of others, with a special focus on using her passion which is running, to empower tween girls. Her passion and energy are contagious, and she is loved by all of her sole girls, especially my daughters. 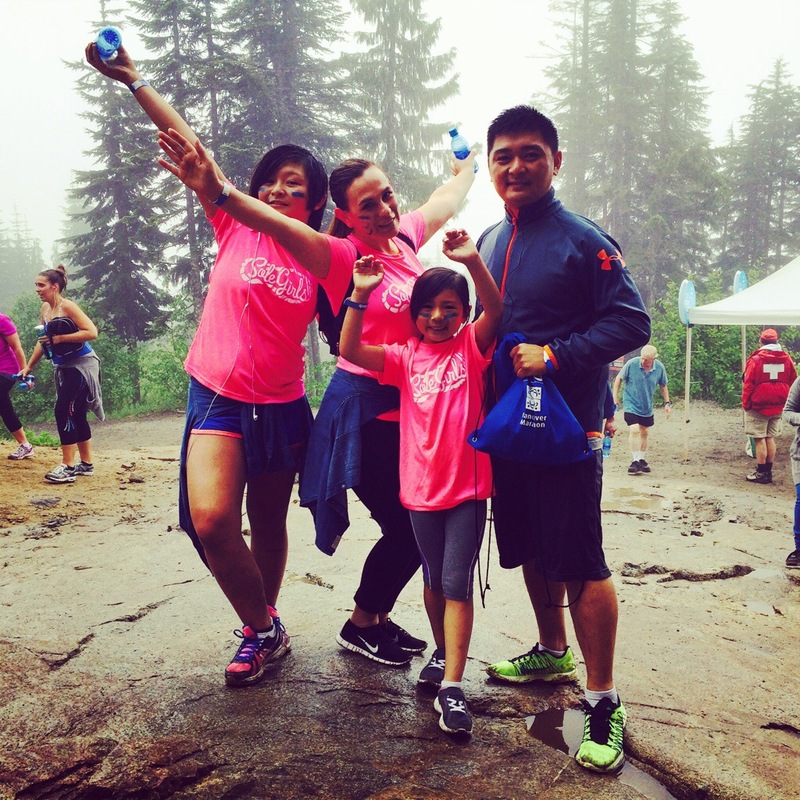 My daughters and I made new friends, met some incredible mentors, accomplished a 5km run and did the grouse grind. Now that’s pretty sole-tastic! 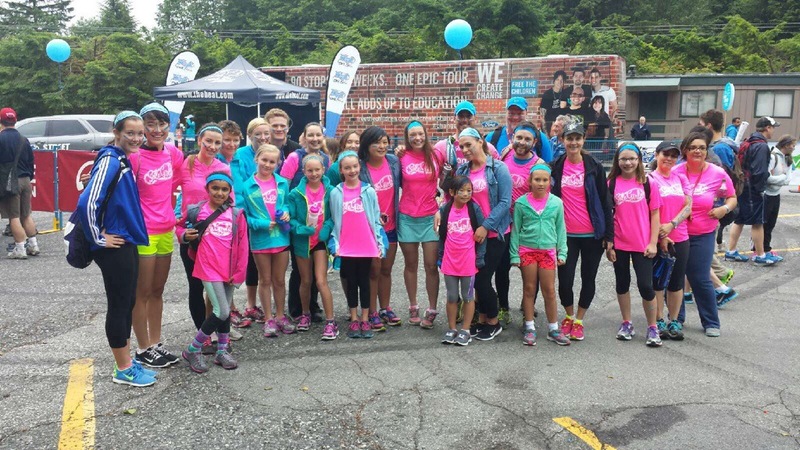 Thank you, Sole Girls for inspiring my daughters and I to use our happy pace and for allowing us to be a part of your amazing sole-community. Every time my soles hit the pavement I think of you. Thank you for motivating my family to be the best version of ourselves. 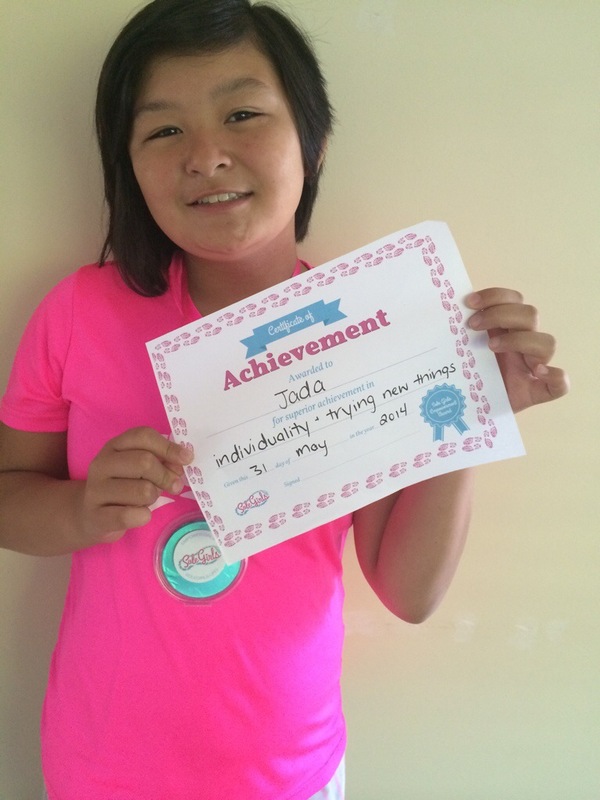 You are sole-amazing and sole-influential! 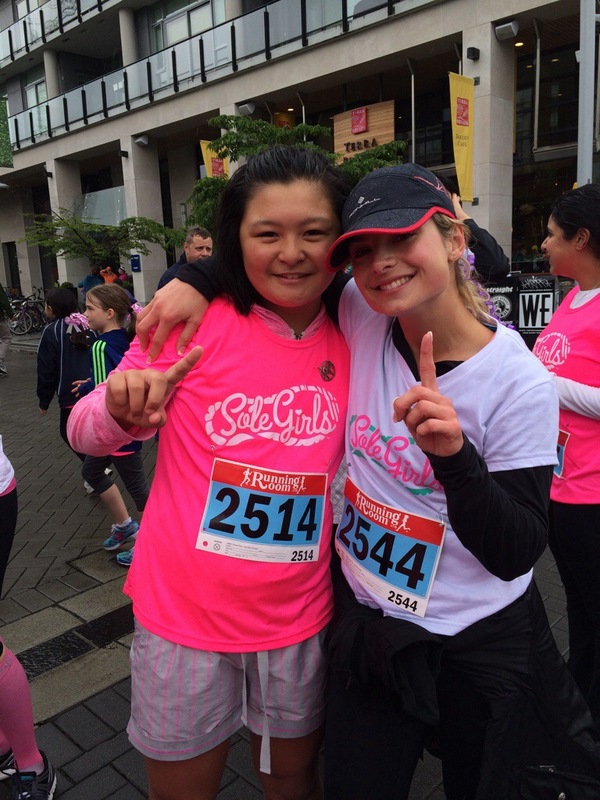 If you have daughters between the ages of 8-12 and would like them to build friendships, confidence, do some goal setting and run in a non-competitive environment all while being empowered then Sole girls is the program for them!